Manual harvest isn’t always better or more practical than machine harvest, however, machine harvest can sometimes be better and more practical than manual harvest, it all depends on the circumstances! Manual harvest is where people handpick the grapes bunch by bunch from the vines in the vineyard. These bunches are usually cut off the vines via a knife, scissors or another tool, placed in a basket and then transferred to a larger container ready to be transported to the winery. Machine harvest is where a machine straddles the row of vines and shakes the vines so that the ripe grapes fall onto a conveyor belt. The process isn’t as harsh as it may sound and only shakes the vines enough for the grapes to drop. Machine harvest results in collecting the berries without their stems. Check out the video below to see what machine harvesting looks like. 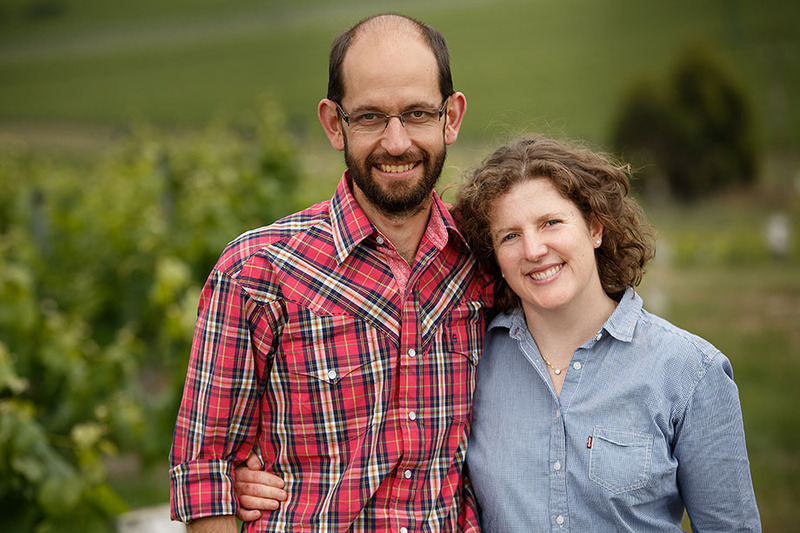 Bill and Claudia Small from Small & Small are Naked winemakers who choose to machine harvest, and often get asked why. Keep on reading to see what they have to say about machine harvesting. People will often ask us why we would choose to machine harvest. The first reason is efficiency – a machine like this can harvest 250 tonnes of grapes in a 24 hour period. A person can pick about one tonne and goes home after eight hours. And when timing is everything for capturing flavours and dodging storms, a machine harvester is rather valuable. But does it affect quality? Well, yes and no. In our part of the world, high end chardonnay and Pinot Noir is picked by hand as this is the most gentle way of handling the fruit. 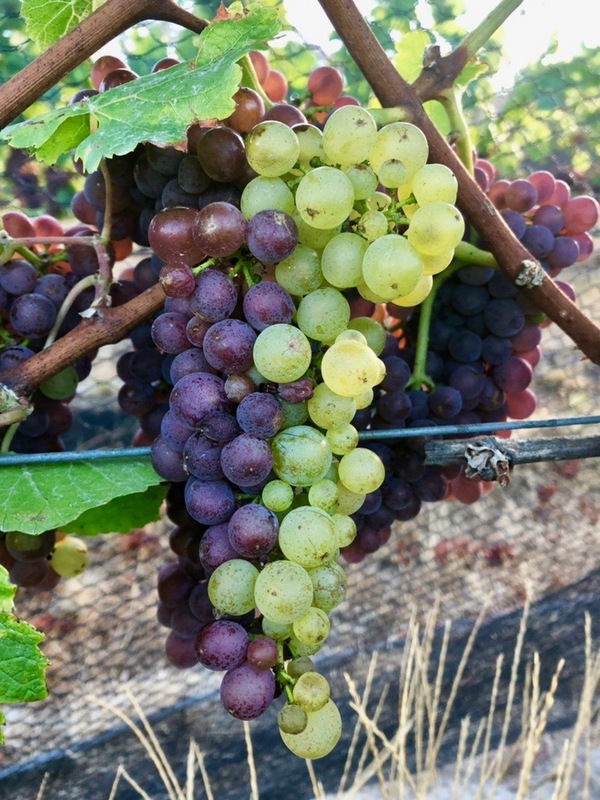 But for Sauvignon Blanc, which derives much of its varietal flavour compounds from the skin, any bumps and knocks from the machine are of little signifance. Machine harvesting technology has been around for a few decades now and is quite sophisticated. The machine in this pic is worth about NZD$450k. It gently shakes each vine until the individual berries come loose from the bunch – completely intact and without breaking the skin. If anyone has any questions about this or any other aspects of harvest, we’d love to help answer. Just pop your query as a reply below.